Badlands is absolutely incredible!! The martial arts/fight scenes are so exciting. M.K.’s past and future keep me intrigued. I love the widow and her regent…always want them to win!!! Quinn is such a force and Sunny is the real deal!! Best show…please keep it coming!!!!! Humans near the bottom of the list?!? It’s the best damn near-future sci-fi show on television and nothing’s come of it. Bahh, AMC’s viewership is a collection of cretins and pack of fools who don’t deserve a show as good as this! 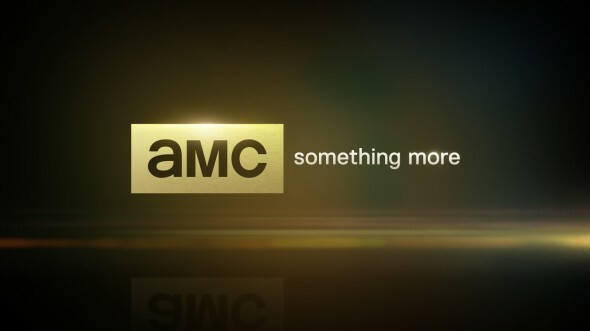 AMC has way to many commercials due to popularity of TWD. We stopped watching after 2016 new season. There’s no coming back from that. Feed the beast one of the best shows out there .touches on today interest in cooking and today great chefs plus has a breaking bad kinda vibe . IM VERY VERY SURPRISED AND UPSET ONVTHR CANCELATION OF THE SHOW I WANT NO I NEED TO KNOW MORE OF THE STORY AND THE CHARACTERS BRING IT BACK BRING IT BACK DONT LEAVE IT LIKE THIS!!!!!!! I am really worrying for the Walking Dead. The opinions on the premier were so controversial. Such a stunning episode! I think the best so far. Cannot believe The Walking Dead has such high viewership..mindless shows dumbing down viewers. Turn, Hell o Wheels, The Night Mgr are intelligent scripts w/great actors & first class productions…more please. Please somebody cancel the ‘renewed, FTWD mid-season in season 3!! Halt and Catch Fire is one of my best shows. I have watched all three seasons and that hour flies by. It is one of the most interesting shows on TV. Please renew for season 4. The Night Manager was one of the best mini-series we’ve seen. Please do more. Turn is television worth watching. Please renew it! The actors are amazing, the costumes outstanding and the interwoven stories addicting. I especially like Ian Kahn, who portrays George Washington but ALL the actors are outstanding. If a Season 4 is the last, I suggest an epilogue telling what happened as the show concludes. This is first-rate entertainment. Thank you! Please, Please, Please renew Feed the Beast. Wow, what a season finale! I saw this show advertised & have watched from the beginning. Wonderful series! The cast is just so talented! PLEASE renew for a 4th Season!!!! PLEASE!!! Please renew Turn. Best show out there. Great job on the history end as well as entertainment side. Please fully look into the money potential catering to school systems and colleges. Rare are gripping shows of this time period.